People with oily hair should clean their hair with a deep cleansing and clarifying shampoo, which is essential for removing the buildup of residue in the scalp. 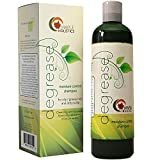 Your hair becomes greasy due to excessive oil. Selecting the best shampoo for oily hair is a difficult task if you do not know the reason behind oily hair. You must also be aware of the ways to protect your hair and scalp from this problem. Overproduction of sebum is the root cause of oily or greasy hair. The wax-like substance – sebum – occurs in your body naturally, which is responsible for keeping your hair supple, soft, and waterproof. Sebaceous glands are directly related to the production of sebum. You must be consistent with hair maintenance and cleansing, which is essential for preventing the accumulation of toxins and dirt that lead to severe hair damage. If your hair is oily, the scalp will also become oily. If you select the right shampoo, you can take out excess oil. These types of shampoos can prevent over-stimulation of sebaceous glands, which is the cause of more oil production. This Top 10 Best Shampoo For Oily Hair will help you pick the right shampoo as per your requirement. Rainforest Balance is ideal for cleansing your hair and scalp, thus it removes excess oil from your hair. So, you look fresh and clean all day. It contains white nettle, pracaxi oil, aloe Vera, Community Trade sugar, and seaweed. Rainforest Balance is completely free from colorants, parabens, sulfates, or silicones. It meets the eco-conscious standards and strict biodegradability standards. The plant based hair cleanser, Amaze Natural Haircare, contains very powerful botanical ingredients that are perfect for combating moisture imbalance on your scalp. Besides balancing the scalp, it strengthens follicles for longer, healthier, and stronger hair growth. A healthy scalp is the symbol of beautiful hair. Amaze Natural Haircare has an exclusive blend of botanicals with anti-bacterial properties. Thus, it prevents scalp and skin irritation. 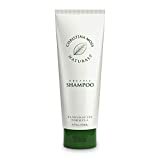 Chemical free and paraben free ingredients are used for making this shampoo. You can replenish and purify your hair and scalp with TRESemme Shampoo. This deep cleansing shampoo is highly effective for removing build-up and heavy residue due to sprays, creams, pomades, waxes and more. This clarifying shampoo is enriched with extracts of lemon and grapefruit, and vitamin C. It is extremely gentle, so you can use this shampoo daily. TRESemme Shampoo is the best for purifying your hair. Your search for getting a professional, deep clean hair treatment ends here. Inspired by refreshing lemon grass plant, Matrix Biolage Normal instantly cleans all types of hair without drying it. This shampoo is also excellent for removing impurities and build-up from curly, coarse, damaged, straight, wavy hair. This paraben-free formula is ideal for natural and color-treated hair. Natural Oily Hair Shampoo is a 100 percent natural hair treatment that is equipped with a therapeutic oil formula. It is the best remedy for treating the root causes of greasy hair. The complex essential oil formula is helpful for providing full symptomatic relief. At the same time, this shampoo nourishes damaged, dry hair. 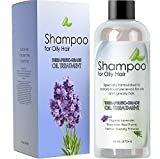 Natural Oily Hair Shampoo soothes and reduces blemishes on the scalp because it contains organic lavender essential oil. Nexxus Diametress Luscious is enriched with proteins, panthenol, and ionically charged nexxuspheres. These are helpful for building thickness and incredible body into each hair strand. Nexxus Diametress Luscious is made of remarkable ingredients that are helpful for adding fullness. It has an advanced microsphere technology that releases strengthening ceramides gradually. The UV protectors and antioxidants give sustained growth, radiance, and pliability to your hair. Christina Unisex Moss is the outcome of 15 years of tireless innovation. This is a salon quality, nutritious, and rich shampoo. It is perfect for nourishing, cleaning, and feeding your hair with organic and all natural ingredients. Christina Unisex Moss also contains the extracts and essential oils. Thus, your hair becomes healthy and beautiful. This is also an excellent solution for those with sensitive scalp and skin. Argon Oil Shampoo, manufactured by Majestic Pure, is a unique blend of 100 percent pure Argan oil of Morocco. This gentle, sulfate free shampoo is great for all hair types that include color treated hair. You can also use it daily. Your hair becomes healthy and beautiful if you use this shampoo. Argon Oil Shampoo contains loads of vitamin E, essential fatty acids, and Carotene. The shampoo contains only finest quality carrier oils and essential oils. Biotin Shampoo is an all natural shampoo that comes with hair thickening B-Complex formula. It is extremely effective for treating thinning hair problems. This formula contains coconut, saw palmetto, Aloe Vera, and rosemary. All these are very popular for preventing hair loss and re-growing hair. This sulfate free natural shampoo is the best for cell stimulation. DHT is the primary cause of thin, weak hair. Biotin Shampoo removes DHT and provides you thicker, shiny, and denser hair. Maple Holistics Shampoo is the perfect therapeutic solution for oily scalp and hair problems. This shampoo is created specifically for providing the best relief from greasy hair and itchy scalp. This 100 percent natural shampoo is ideal for both men and women. It stimulates cell renewal and increases hair and scalp circulation. This is very gentle and safe for even color treated hair. Rosemary is the primary ingredient in this shampoo. It is extremely effective for treating hair loss in both women and men. Maple Holistics Shampoo is the best for maintaining and controlling scalp and hair moisture. It is also effective for balancing sebum secretion levels and removes the excess sebum. Deciding the best shampoo for oily hair is a difficult task. However, you can take the decision easier if you consider certain factors while selecting a shampoo for your hair problem. The shampoo must be specially formulated for oily hair, which is the first and foremost factor. You should also ensure that the shampoo contains no added oils or silicone content, which will lead to more oil secretion. You should also select a clear shampoo when you are dealing with oily scalp and hair. It is also essential to check the ingredients used for making the shampoo. You can pick one shampoo from this list without any hesitation.